It is finished. He repeats the same word which he had lately employed, Now this word, which Christ employs, well deserves our attention; for it shows that the whole accomplishment of our salvation, and all the parts of it, are contained in his death. We have already stated that his resurrection is not separated from his death, but Christ only intends to keep our faith fixed on himself alone, and not to allow it to turn aside in any direction whatever. The meaning, therefore, is, that every thing which contributes to the salvation of men is to be found in Christ, and ought not to be sought anywhere else; or — which amounts to the same thing — that the perfection of salvation is contained in him. There is also an implied contrast; for Christ contrasts his death with the ancient sacrifices and with all the figures; as if he had said,” Of all that was practiced under the Law, there was nothing that had any power in itself to make atonement for sins, to appease the wrath of God, and to obtain justification; but now the true salvation is exhibited and manifested to the world.” On this doctrine depends the abolition of all the ceremonies of the Law; for it would be absurd to follow shadows, since we have the body in Christ. 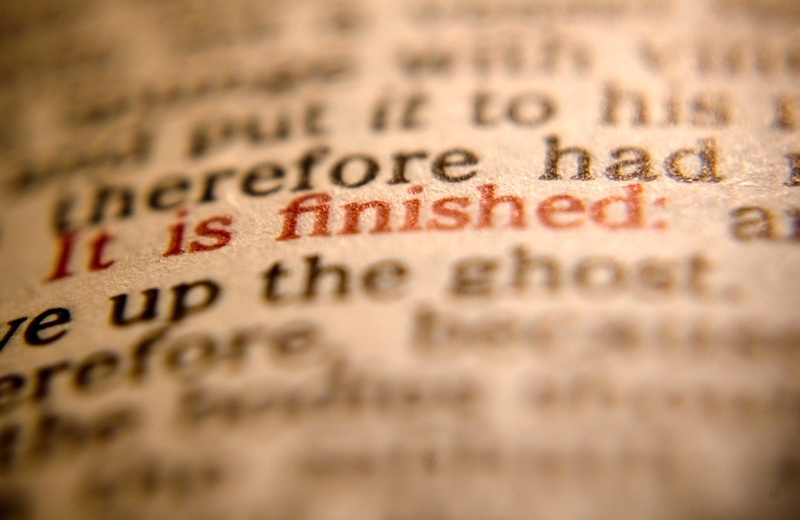 This is why Good Friday is good–I don’t have to look anywhere else–Christ finished it.